KANSAS CITY, Mo. 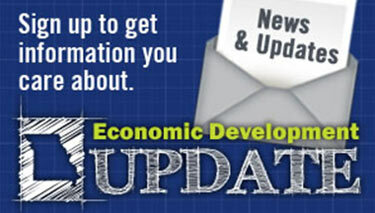 — Today the Missouri Department of Economic Development (DED) announced a world headquarters expansion project for Alpha General Contracting who has plans to create more than 50 new jobs in the next five years. Alpha Energy and Electric, Inc., DBA Alpha General Contracting, is an Engineering, Procurement and Construction (EPC) Company with over a half century of combined experience. In its continued efforts to help power the economy, it endeavors to serve its clients with uncompromising level of excellence with integrity from planning to implementation. It is also a certified SBA 8(a), HUBZONE, Minority-Owned Business, and the recipient of the Kansas City Chamber’s 2016 and 2017 Top 10 Small Businesses of the Year awards. Incorporated in April of 2005, Alpha General Contracting began providing its expertise in commercial, institutional, governmental and industrial structures. The company had a humble beginning, starting in a two-room office space. Three years later, after establishing itself among the ranks of Midwest energy and electrical engineering construction companies, it purchased and moved in 2008 to what is now its 10,000-sq. ft. world headquarters in Kansas City, Mo. Alpha General Contracting has been part of some of the region’s highest profile construction projects. Some of their major projects include: Kansas City Downtown Streetcar, Iatan Power Plant, Kansas City Police Department East Patrol Campus/Crime Lab Project, the single largest Solar (Photovoltaic) System Project in Kansas City, Sprint Center, Arrowhead Stadium, Kauffman stadium, LaCygne Power Plant, the new JE Dunn headquarters, the new Saint Luke’s Hospital, Kansas City International Airport, the Cerner’s Trails Campus Project, Solar Panel Design & Installation for the US Army Corps of Engineers, 15kv Switchgear Replacement at the US Department of Agriculture, and University of Missouri power plant, among others. 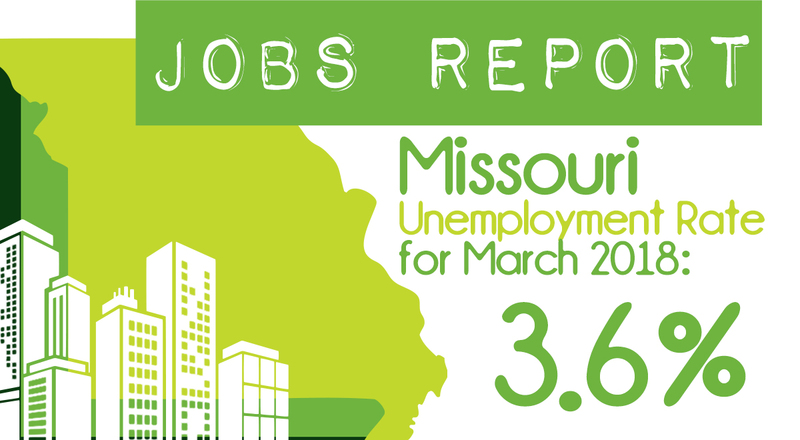 “Alpha General Contracting has been involved in some of the most high profile job creation projects in Kansas City. We’re thrilled to announce they have chosen to make Kansas City home to their world headquarters. Not only will Alpha General Contracting call Kansas City its home, it will also create more than 50 jobs in the process. Our top priority has been creating a thriving business environment with more jobs and bigger paychecks. I’m excited that Alpha General Contracting has chosen Kansas City to continue growing its business,” said Gov. Eric Greitens. “Alpha General Contracting is grateful, honored and privileged to be an EPC company of choice. We are elated to have our World Headquarters here in Kansas City, Missouri, the heartbeat of the country. This is the home of our humble beginning,” said Ike Nwabuonwu, Chairman and CEO. 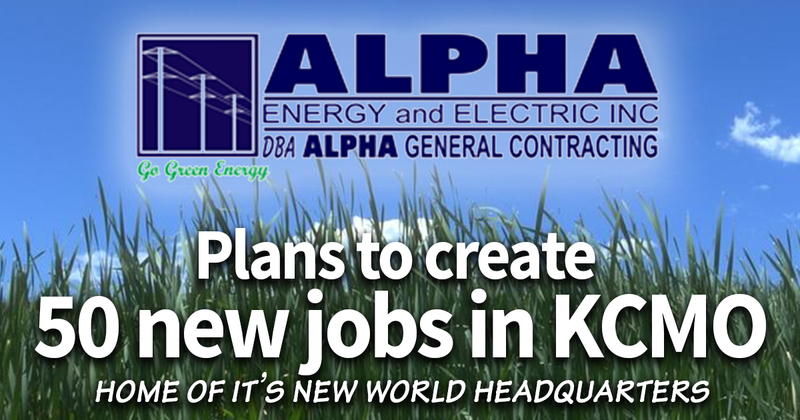 "This is great news for Kansas City, our business community, and the working families who will be a part of Alpha Energy & Electric's expansion and job growth. Ike and his team have played a role in some of our city's most recognizable projects in recent years. Alpha's work will have a place in Kansas City for decades to come, and we're excited to see that his company and employees will too," said Kansas City Mayor Sly James. Mayor James and the city council recognized Alpha General Contracting for its many years of dedicated service to the community in a Resolution, No. 160632. The City of Kansas City, the Economic Development Corporation of Kansas City and the Missouri Department of Economic Development worked together to help make this expansion happen.